I am guessing that this is a young person, perhaps a student – more than likely to be female. She is having friends round for a sleep-over – possibly after Miguel’s birthday night out. She is thinking about late night snacks – especially for the boys who are always hungry. 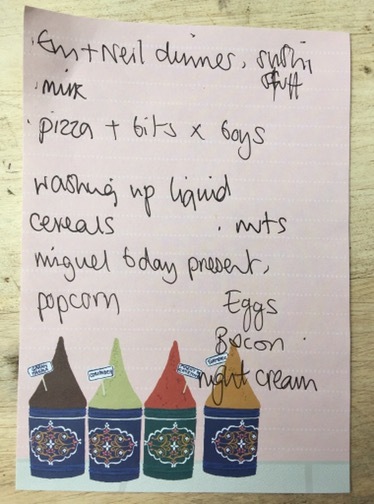 Remembers night cream and then making sure there are cereals and bacon for the breakfast in the morning.